This work exists in only four sources: Ch.Ch. 979-83; Essex Record Office D/DP Z6/1; BL Add. 31390; Tenbury MS 389 - all of which present the music for viols, with no underlay. 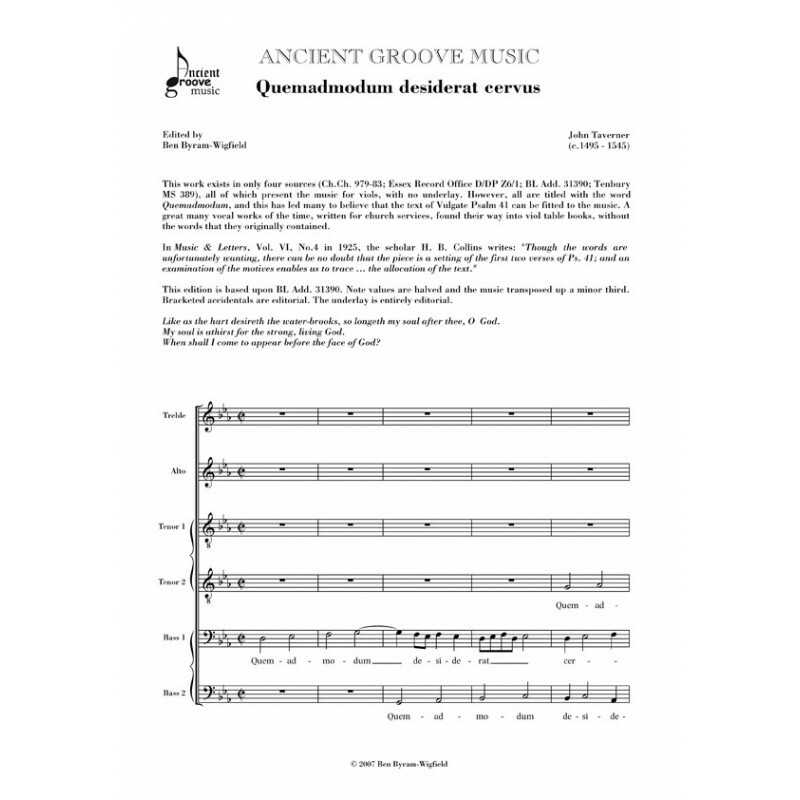 However, all are titled with the word Quemadmodum, and this has led many to believe that the text of Vulgate Psalm 41 can be fitted to the music. 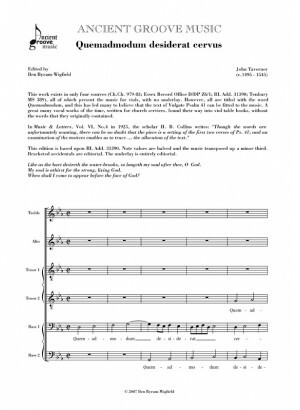 In Music & Letters, Vol. VI, No.4 in 1925, the scholar H. B. Collins wrote: "Though the words are unfortunately wanting, there can be no doubt that the piece is a setting of the first two verses of Ps. 41; and an examination of the motives enables us to trace ... the allocation of the text." This edition is based upon BL Add. 31390. Note values are halved and the music transposed up a minor third. Bracketed accidentals are editorial. The underlay is entirely editorial.